Thirteen-year-old Martha Bartlett insists on being a part of the Underground Railroad rescue to bring her brother Jake back home to their abolitionist community in Connecticut. It's 1854 and though African-Americans and mixed-race peoples in the north are supposed to be free, seven-year-old Jake, the orphan of a fugitive slave, is kidnapped by his "owner" and taken south to Maryland. Jake is what we'd now describe as on the autism spectrum, and Martha knows just how to reassure him when he's anxious or fearful. Using aliases, disguises, and other subterfuges, Martha artfully dodges Will and Tom, the slave catchers, but struggles to rectify her new reality with her parents' admonition to always tell the truth. She must be brave but not reckless, clever but not dishonest. But being perceived sometimes as white, sometimes as black during the perilous journey has thrown her sense of her own identity into turmoil. Alonso combines fiction and historical fact to weave a suspenseful story of courage, hope and self-discovery in the aftermath of the Fugitive Slave Act of 1850, while illuminating the bravery of abolitionists who fought against slavery. 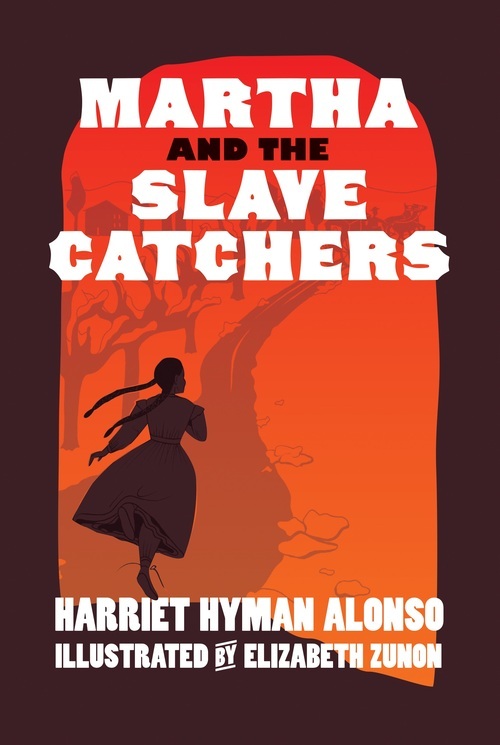 Harriet Hyman Alonso is the author of Seven Stories/Triangle Square’s new book for middle school readers, Martha and the Slave Catchers. Catherine A. Franklin is an education professor who created the Martha and the Slave Catchers curriculum guide. The two have worked together for over fifteen years teaching college students and creating teaching materials about U.S. history. Here, they discuss some of the aspects of Martha and the Slave Catchers that relate to history and teaching. HA: Hi Catherine. You may remember that one of my reasons for wanting to write a book for younger readers is that so many of my students at City College (and at previous schools as well) knew so little about efforts to end slavery in this country. And a good percentage of them told me that history was one of their least favorite subjects. I know that there are many wonderful historical novels for young readers, but not many touch upon the anti-slavery movement or human rights organizations. So, I decided to write one. From what you know about the Core Curriculum and Social Studies education, is there room for such a novel? Would students and teachers welcome such an addition to their reading? CF: Harriet, Martha and the Slave Catchers is a natural fit for the middle school classroom—for both English Language Arts and Social Studies. The plot line is so engaging, and along the way readers will develop an understanding of the abolitionist movement and the varied roles that individuals played within it. Depending upon the reading level of the students, I could envision how a teacher might use this book for independent reading, guided reading, or as a central text to teach how people organized to resist the practice of slavery during the mid-1800s. I wish I had read a book like this when I was in middle school. Where did you get your inspiration for Martha? A while after the book came out, I got to thinking that it would be nice for children to be exposed to this piece of U.S. history. . . for them to read about children their own age who grew up in a country being torn apart by the issue of slavery. I had read lots of true stories about the antislavery movement and about the Underground Railroad, and so the idea for Martha and the Slave Catchers was born. Everywhere in Martha and Jake’s lives are interwoven facts about the true experiences of abolitionist children. Just a few examples will show you what I mean. They were raised by parents who consciously embraced non-violence and contributed their efforts to the work of helping fugitive slaves achieve freedom and safety. They read books and magazines that embraced that cause and received educations at home and even in schools that prepared them to carry on the work of ending slavery in this country should their parents’ generation not succeed. I even drop in little items for the enjoyment of those adults who know about the Garrisons. For example, Martha’s last name is Bartlett, which was the last name of the family who took care of Lloyd when his own mother had to foster him out while she worked away from home. And Abijah and Fanny, the first names of the couple who care for Martha and Jake at the end of the book, are the names of Lloyd’s parents. There are tons of little facts like that sprinkled throughout the book. I also tried to explain the historical context, especially that surrounding the Fugitive Slave Law of 1850, so that parents and teachers might have all the information they’d need to discuss the story with their children and students. CF: So Martha is essentially drawn from your extensive research on William Lloyd Garrison’s children—and other abolitionist families. Were any of the children described with “hands on hips, foot tapping” or was that your invention? HA: No. I never heard of any children behaving in that way. I did read how the Garrison children ran a bit wild at home, though. William Lloyd Garrison abhorred violence of any kind and forbid anyone to ever act violently toward his children. So a Garrison child was never slapped, made to stay in a darkened room, or told to be quiet or be punished as many children of that era were. Helen Garrison complained to friends that the children were sometimes uncontrollable as youngsters literally “flew” by her as they danced and chased each other around the parlor room or grabbed letters she was trying to write out of her hand because they wanted to look at them. She lamented that neither she nor her husband were very good taskmasters, but all five of their surviving children (two died when young) grew up to be responsible, ethical adults. As for Martha, I wanted to give her certain characteristics which showed she was a little girl with a strong personality whose parents, like the Garrisons, allowed her to express herself without much restraint. Her mother says at one point that Martha and Jake were both raised in a non-violent home and would not be prepared to meet violence such as that which Robert Dawes, the slave owner who kidnaps Jake, would be likely to display. I also used the “hands on hips, foot tapping” as a means of illustrating how Martha changes over time. As she learns to understand and accept Jake for who he is, she also learns what her own behavior communicates to him. So her transformation is one of maturing as many children do as they begin their journey into adolescence. I am wondering, Catherine, how teachers might use your curriculum guide to help children develop deeper historical insight behind the plot. CF: The curriculum guide provides multiple entry points for the classroom. In the first section, “Priming the pump,” I provide ideas for gathering historical images and maps that connect directly to this novel. Well-designed bulletin board displays can fuel the child’s curiosity and can motivate him/her to learn more about the topic under study. This is particularly true for visual learners. Seeing an actual image of 19th century life (e.g., modes of transportation, a one-room schoolhouse, village life), can trigger the young reader’s mind and imagination. Within the guide, I include links to primary source material from both the Library of Congress and the National Archives. Seeing photographs and documents can facilitate the child’s understanding of daily life within the mid 1800s. I think it is also important for the class to discuss their familiarity with historical fiction. What have they previously read within this genre? How does reading historical fiction help them to understand history and the human journey through time and controversy? The guide includes an activity of having the class generate a list of “Tips When Reading Historical Fiction." The curriculum guide also provides helpful literacy strategies that can be used throughout the reading of this novel. This allows the reader to focus on a particular aspect of the story. For instance, I suggest that the students create a timeline of key events within a chapter. This could be done in pictorial and/or written form. Noting the sequence of events within a story is an important reading strategy. It can be used when reading informational texts as well. Other literacy strategies are also included—such as creating character lists and mapping their connection to the protagonist(s), displaying notable quotes within the text, and enacting dialogue within the story. These are all ways to make the reading of Martha and the Slave Catchers a collaborative and shared experience within the classroom. The guide also includes discussion questions for the end of the book. Some questions direct the reader to make personal connections to the text, while other questions focus on character motivations and challenges. Creating classroom time for peer to peer discussions can be valuable. This enlarges and complicates the individual reading experience for it provides a venue for learning about someone else’s impression and analysis of the story. Another section of this guide is called “Explorations.” These are classroom investigations into such areas as slave spirituals, abolitionist newspapers, slave narratives and autism. These are opportunities for students to delve into research and to connect it to the characters and plotlines within Martha and the Slave Catchers. Some of these inquiries could be done while reading the novel, while others could be given as a culminating assignment. As a former classroom teacher, I believe that students learn a great deal when they collaborate with one another on a curriculum-related project over an extended period of time. For this reason, I included a section within the curriculum guide entitled “Project-based Work.” Working as a team or in a small group for one or two weeks, students could work on such endeavors as constructing everyday objects from the 1800s (e.g., quilt, rag doll), creating a book of codes for the Underground Railroad, designing and participating in an Anti-Slavery Fair, and/or constructing a memorial in honor of the Underground Railroad. Each of these projects relates directly to historical themes within Martha and the Slave Catchers (e.g., material culture, Underground Railroad, Abolitionists). The last section of the guide is “Extensions.” Students are asked to make connections to the events that occurred in the mid-1800s to events that are happening in our world today. Who are the modern abolitionists? How do we resist unfair laws? Who are today's positive agents of change? To what extent does our current society provide equality and justice for all? What more needs to be done? It was a pleasure designing this curriculum guide for Martha and the Slave Catchers. I worked to include various modes of expression for different types of learners including musical, visual, dramatic, and physical experiences. I hope that the use of this guide will help students to engage in the study of history and social justice. HA: Thanks, Catherine. I know the guide will add a wonderful new dimension to the book. 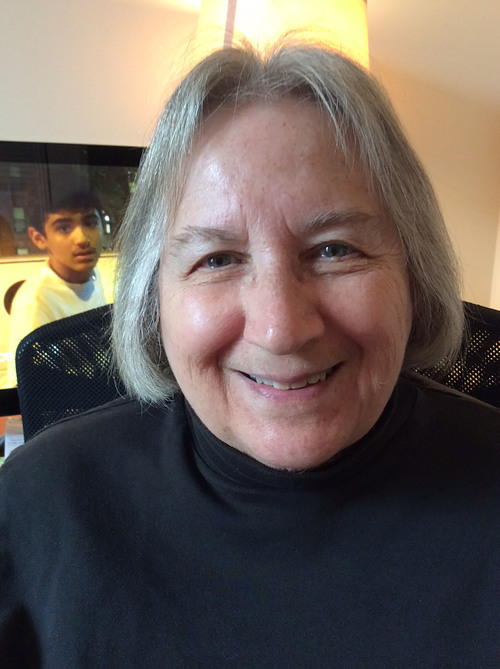 Harriet Alonso is the author of five books, including the prize-winning biography, Growing Up Abolitionist: The Story of the Garrison Children, and a recipient of the National Endowment for the Humanities Research Fellowship. She is a recently retired professor of History at the City College of New York. She lives in Brooklyn, New York. Martha and the Slave Catchers is her first novel for younger readers.